For most of December and January, I have tried not to say anything about our weather in my part of California. Most of you have been posting about bitter cold and freezing temperatures; showing off some beautiful winter photos of snow. 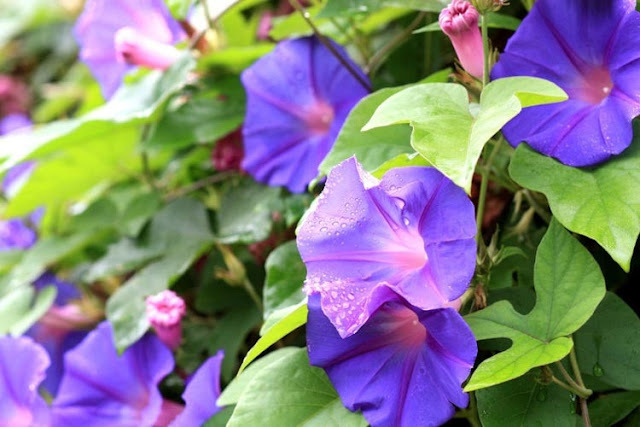 It would fun if we could get some of that weather (and I am sure you all would gladly share it) I remember 30 years ago, we had an arctic blast that came through the San Francisco area and it froze my pipes and killed my morning glories. It didn't snow where I was, but up the hill, about 5 miles it was snowing and here are all these goofy Californians taking their kids out of school to drive up and play in the snow. In 2013 we had snow here at my new house. 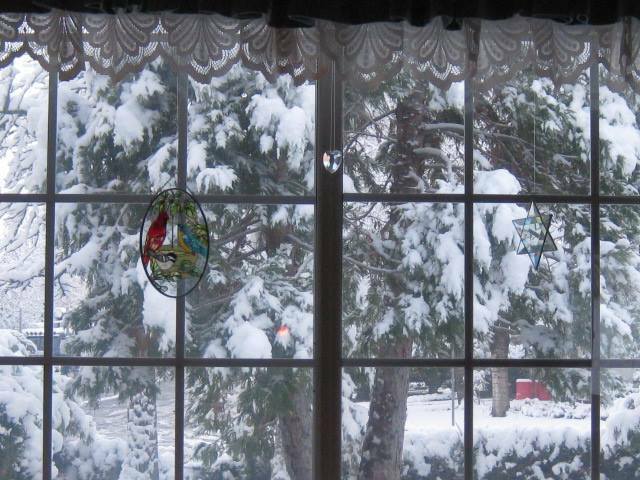 What a treat to wake up, throw open the curtains and behold, a beautiful winter scene right out my window. At times I really envy you all. You all have a comradery with the rest of the country that we Californian's can't share in. 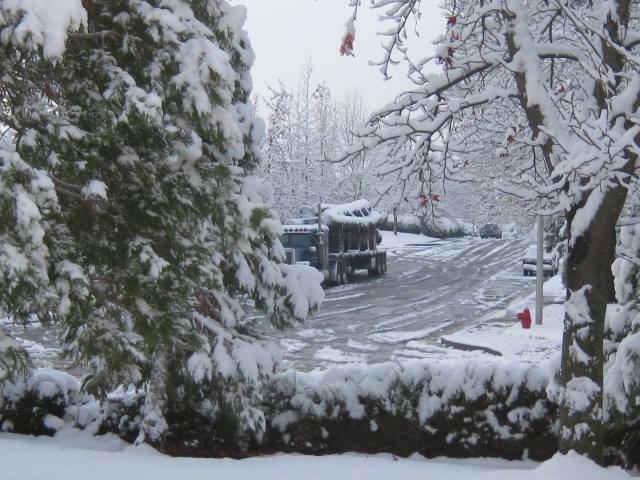 As a child, my Grandma would write and share the first snow and how cold it was; my cousins would write and speak of snow days...How boring life was in California during the winter. At most, we had torrential rains and mudslides when it wasn't sunny and mild. I remember one of my aunts, came out to visit in January and she couldn't get over how nice it was and she even took pictures of our blooming camellias. Where I live now; further north from San Francisco and surrounded by 3 major national forests, we are surrounded by snow-capped mountains. While it may not snow here; we can always look up to the Great Lady of the North (Mt Shasta) and notice a new covering of snow daily. That connects me to all of you in a small way. This Sat and Sunday, we are getting colder. Snow levels down to 1000 feet. I hope they are wrong and we actually get some snow on the valley floor. If we do, we all know it won't last as long for us, as it does for you all, but we will LOVE it. The children, the dogs - everyone gets out in it and has a blast! 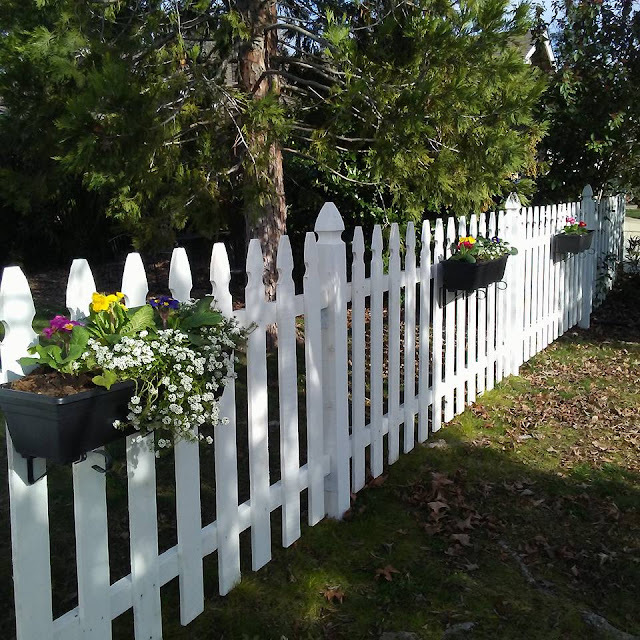 earlier this week, I planted primroses. Earlier this week, I gardened a little while the rest of you were bundled up. Just another boring California winter. We're very green here right now. Gardening in the winter always makes me happy. Thanks for dropping by. I think one of my favorite things about living in Michigan is the 4 seasons. Each one is beautiful in it's own way! I had a friend who lived in Costa Mesa for a few years. She told me that as much as I would find it hard to believe she got tired of sunny days! I can't imagine but I know I would miss those seasons! But only for a little bit...then I NEED the sun and light to feel better. I do love the snow when I have no place to go. You still have the mountains for skiing and the ocean for surfing, pretty great combination...except for the droughts, floods, fires and mud slides. It comes with the territory. They say fires are our new normal...I already knew that- they are talking to the new techy people that move here from other places. We got a nice couple of inches of the white stuff on Christmas, which made for a perfect holiday. It quickly melted within days and if all goes right, we won't have any more. We had so much last year that the city couldn't keep up with removal. We're not really equipped for it here. I do think it is beautiful when it first snows but I'm over it pretty quickly. I LOVE the photo of Mt. Shasta with palm trees in the foreground. Nice contrast! I still would gladly send you my Michigan winter. Yesterday it got to nearly 40 degrees and the snow melted, but it will be back. My husband worked in California after college and actually missed the changing seasons, but he still disliked winter. My son is coming home from Texas next week-end and the first thing he mentioned was having to deal with snow. If I could just hole up for the whole winter and not leave the house it might not be so bad. You have some pretty snow photos. I must admit, Atlanta has all four seasons and it's fun to wear different clothes throughout the year! WE have 4 seasons here - they're just not as drastic as the rest of the country. I was actually out thinning out plants and watering the yard on Friday, but this morning we dropped down to a low of 35 but that didn't last long. Southern California is the only place I have ever lived where it is this warm during the winter. As for your mountain and snow pictures out of your window, The Good Lord sure paints a pretty picture, I do enjoy views like this. Wow, you can see Mt. Shasta in the distance of your town. My brother-in-law is buried in Mt. 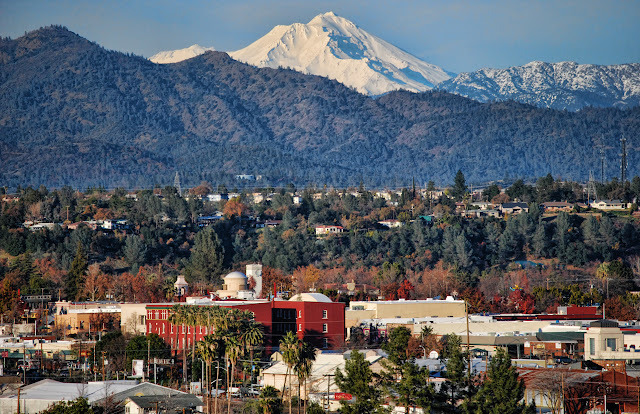 Shasta, and it holds a special place for my family, as my mother-in-law grew up there. 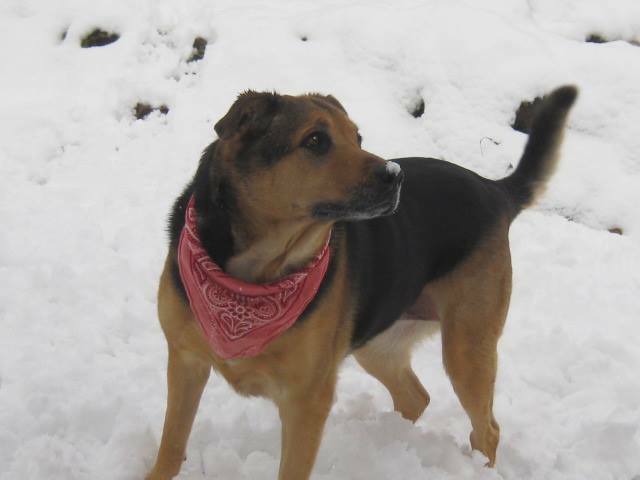 These are great pictures of the snow around your neck of the woods, Debby. I didn't realize you got snow in 2013. Your dog is so cute too.